The Rugged Ridge Torx Tool Set offers the necessary tools to easily remove your hardtop and doors on your Jeep Wrangler JK. Offered with a convenient storage pouch made from a durable nylon material. Easily store this kit on you center console or glovebox for quick access. 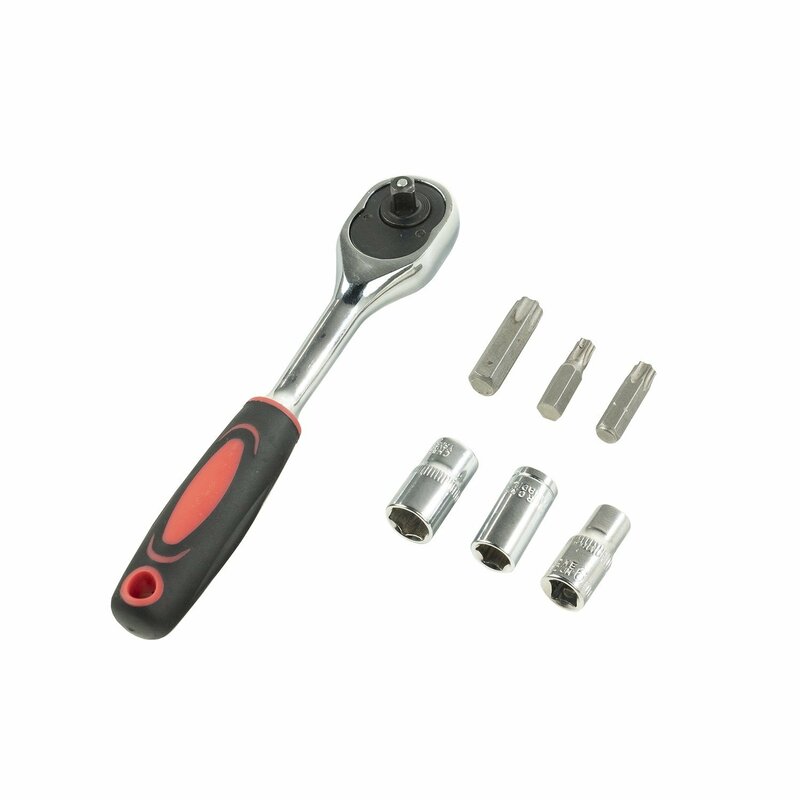 Includes a easy to use ratchet, 3 sockets (6mm, 8mm, and 10mm), and 3 Torx bits (T30, T40 and T50). This Tool kit is a replica of the factory original part # 82214166AB. 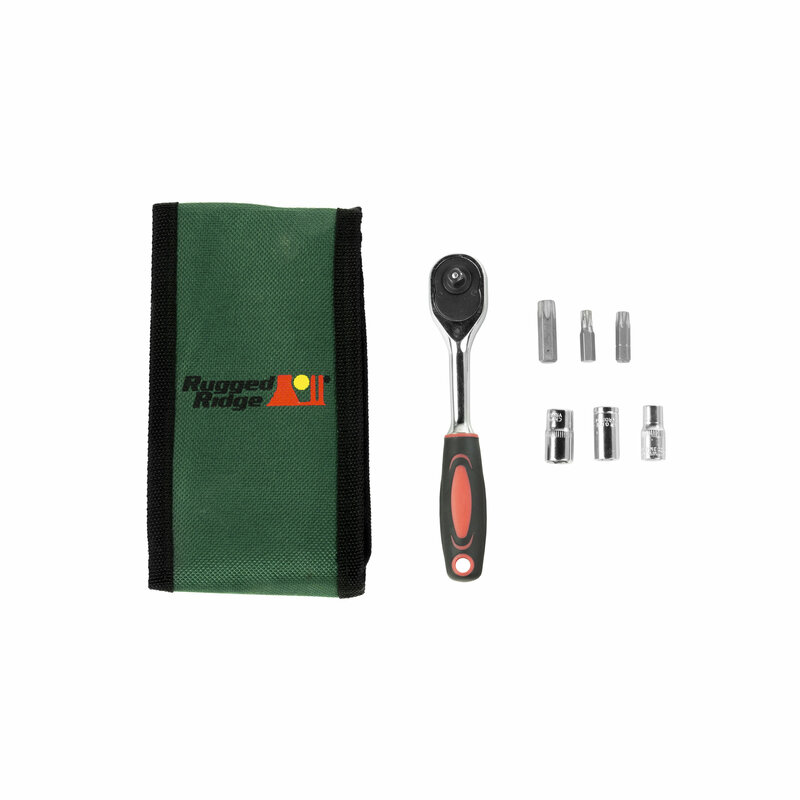 Easily Remove Doors & Hardtop: This on the go Torx tool set offers the proper size Torx and sockets to quickly remove your doors no matter where you go. Always having the right tool for the job. Affordable Quality: Offering a competitively priced tool kit that can be easily stored in your Jeep. 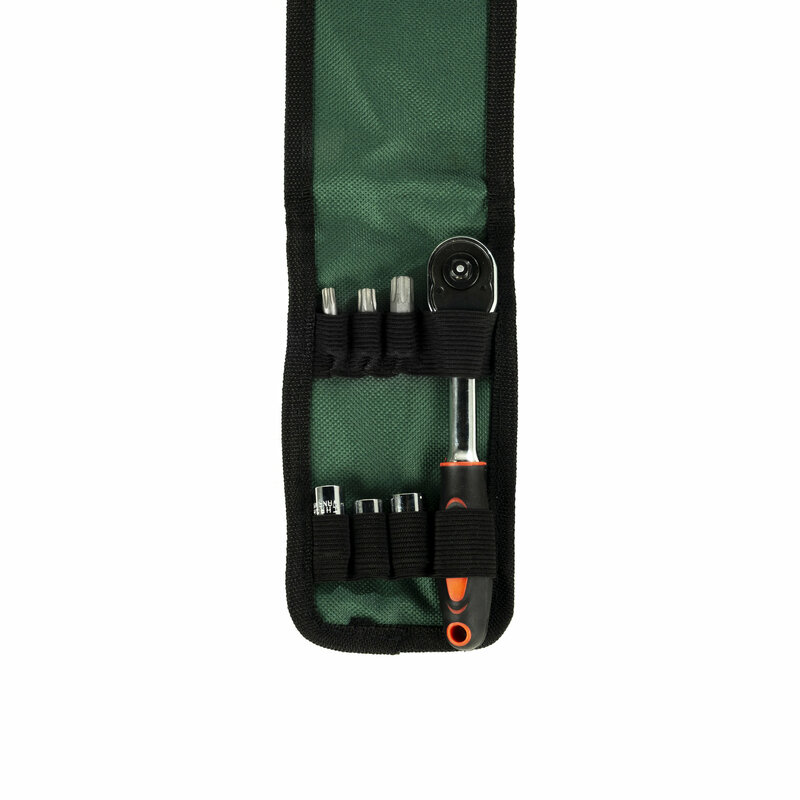 Includes a convenient storage pouch to keep all the tools in a neat and orderly fashion. Helping to prevent them from getting lost.